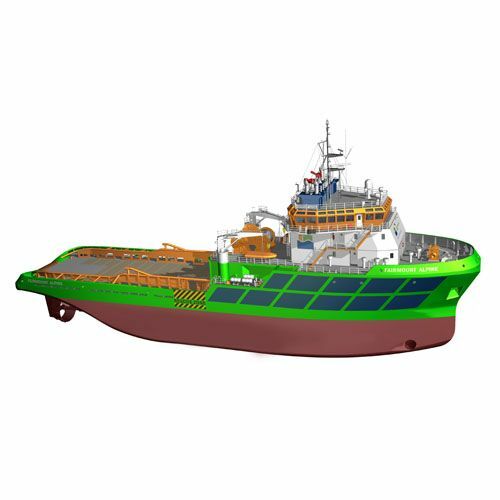 Billings Boats BIL506 Fairmont Alpine Ocean Tug 1/75 scale wood ship kit! The Fairmount’s main activities are long distance ocean towage and salvage, with its fleet of five tugs of 200 tons bollard pull, the transportation of heavy lifts by semi-submersible barges and the worldwide activities of Fukada Salvage with its modern fleet of offshore support vessels and floating cranes. Fairmount operates a fleet of ultra strong long distance towing vessels, semi-submersible barges including the world’s largest unit the 50,000 dwt GAVEA LIFTER and multipurpose offshore support vessels.